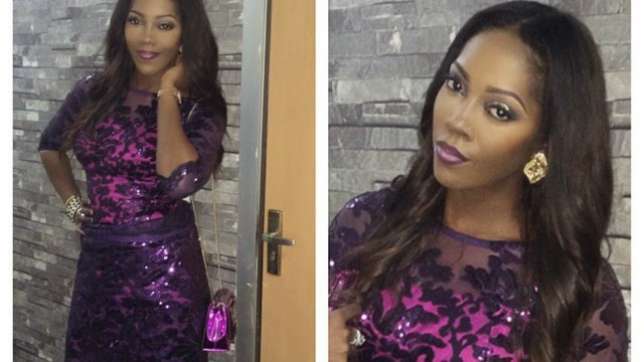 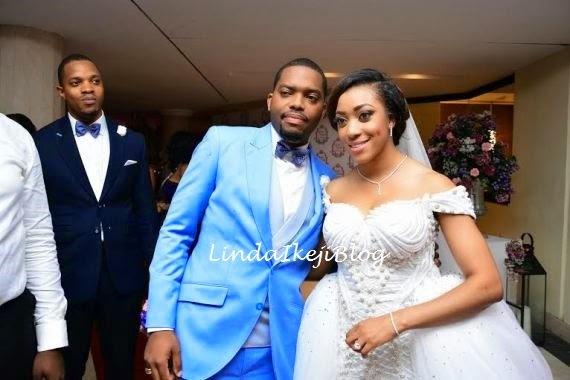 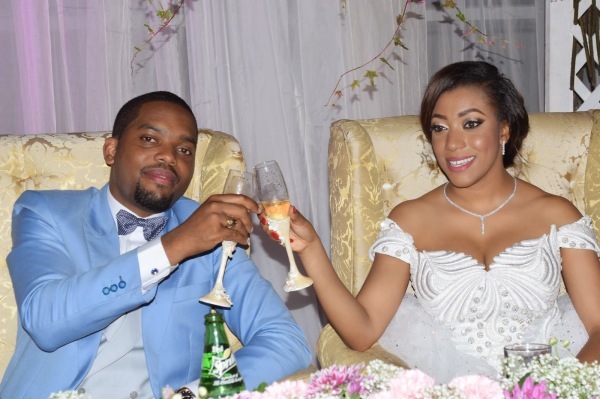 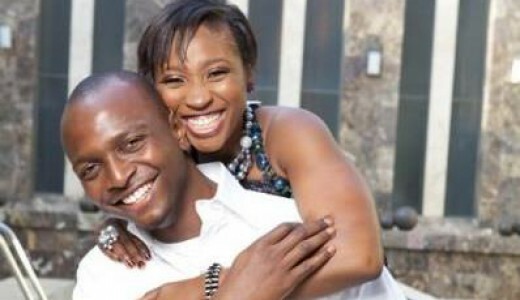 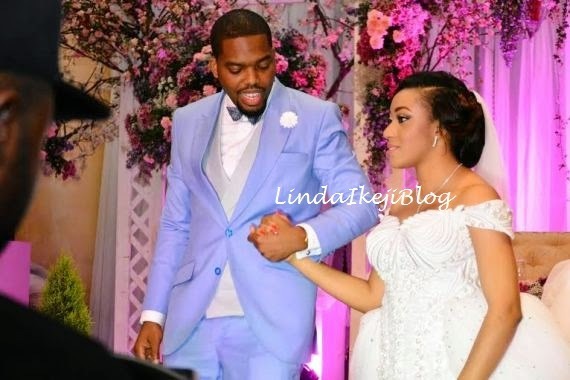 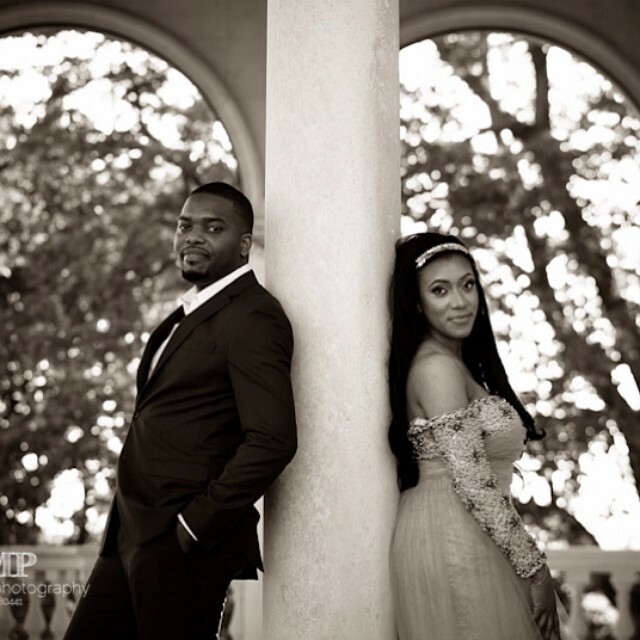 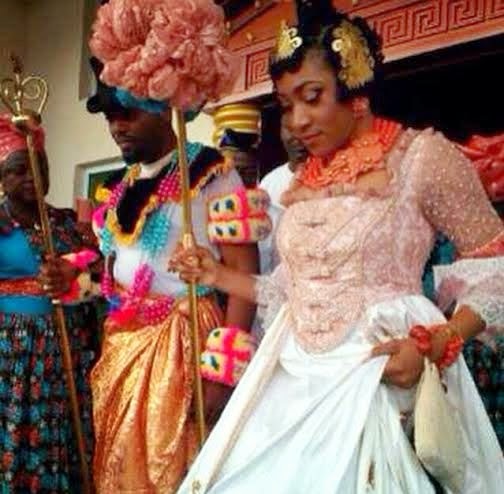 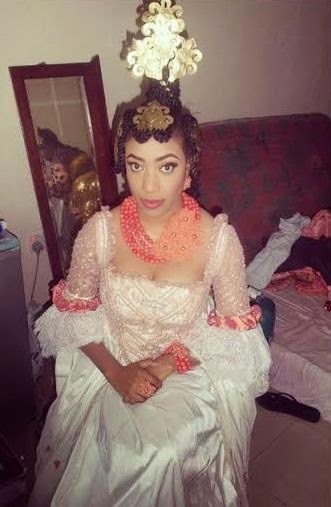 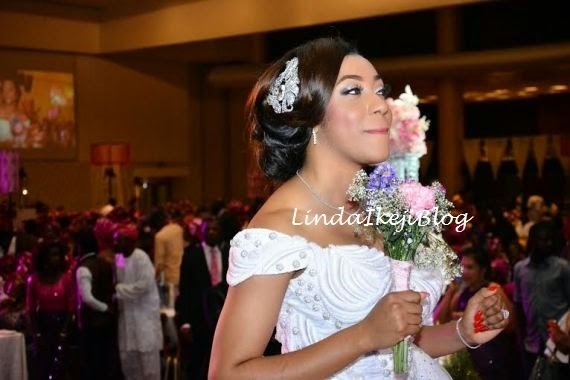 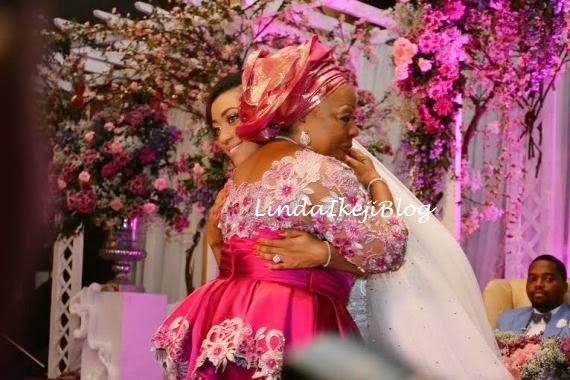 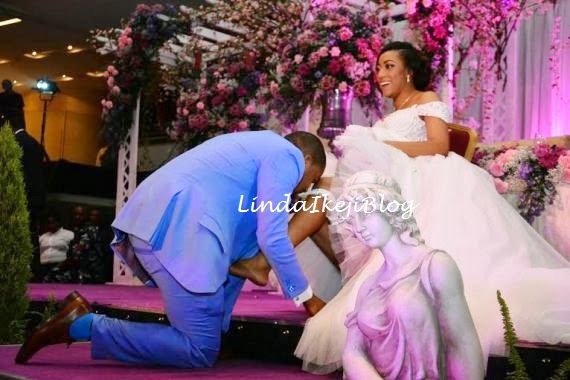 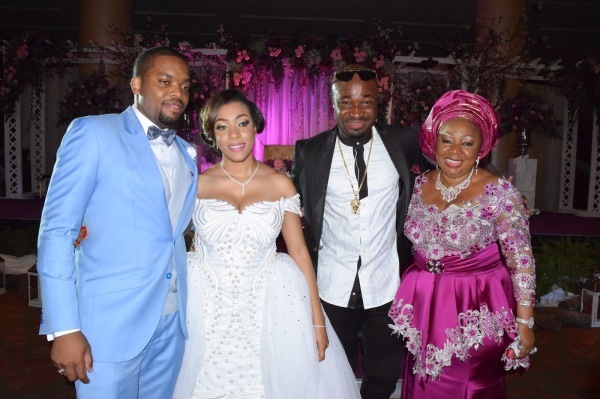 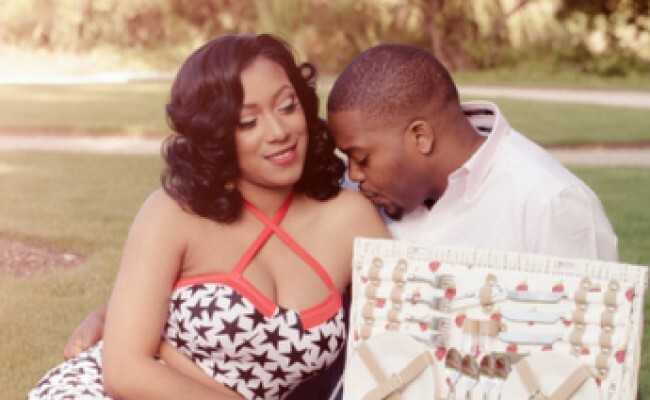 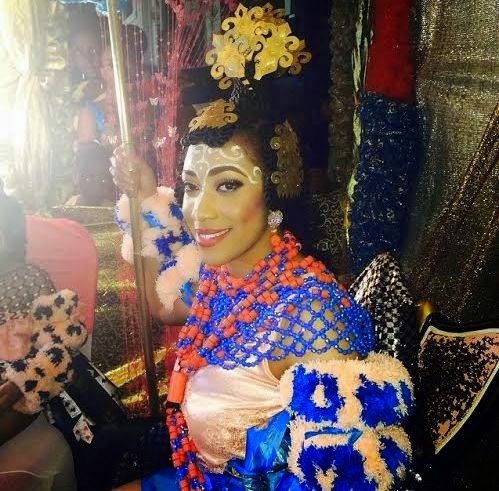 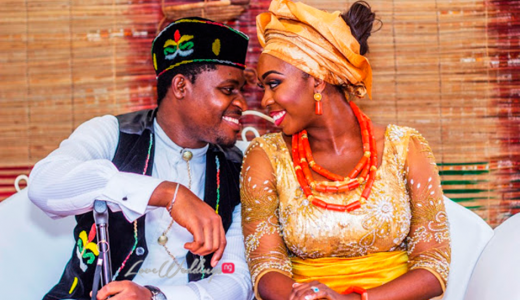 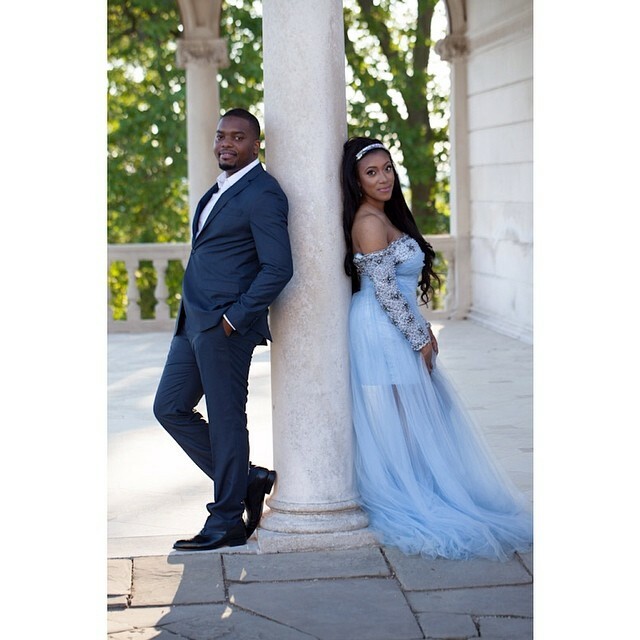 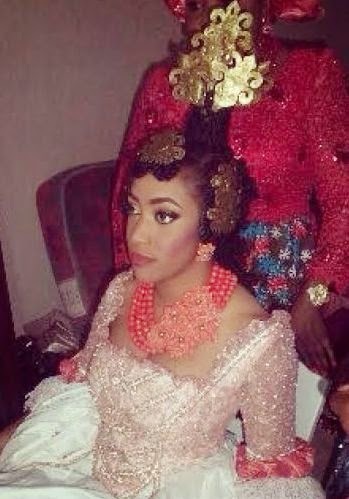 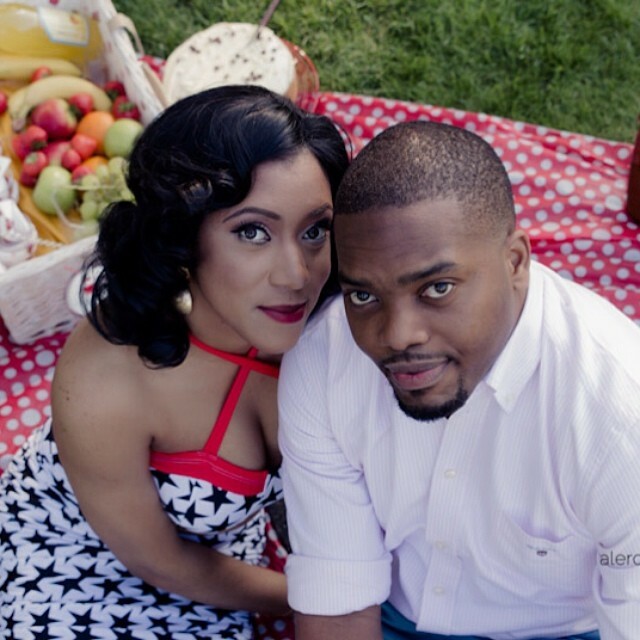 We recently told you that Senator Florence Ita-Giwa’s daughter – Koko was set to wed Chimaobi Obioha this month. 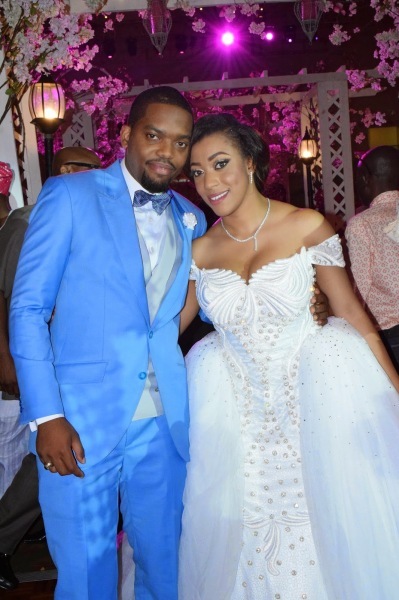 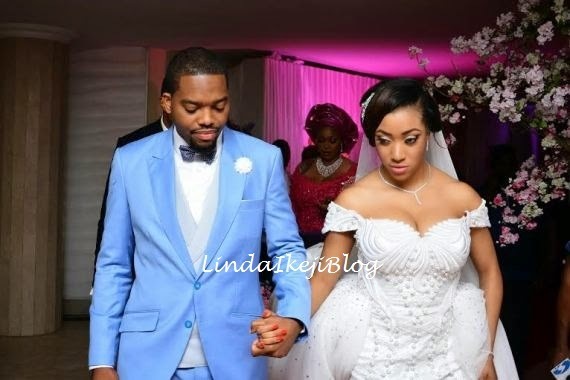 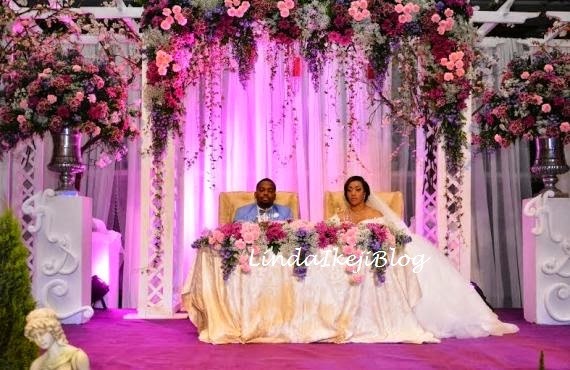 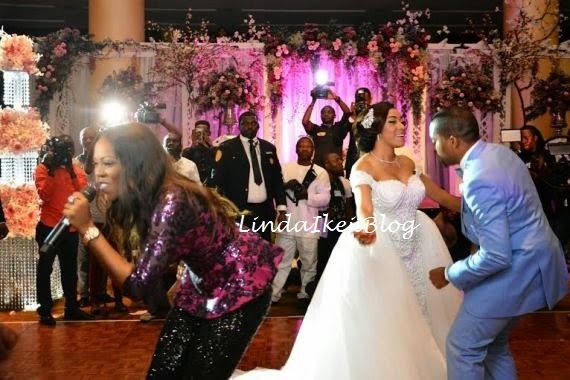 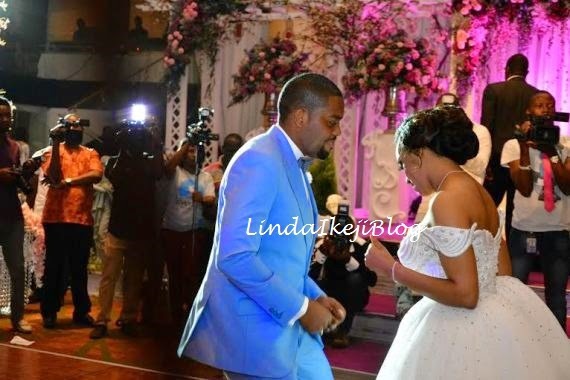 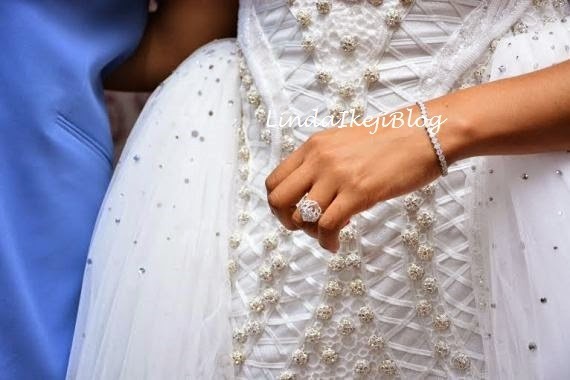 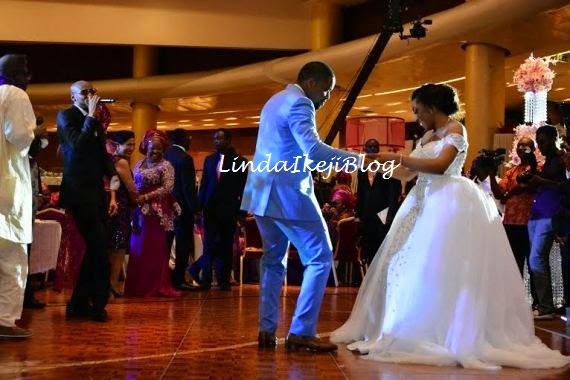 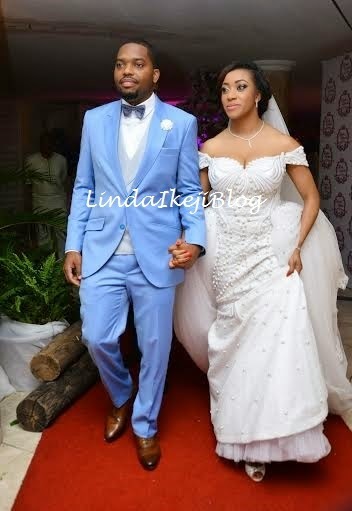 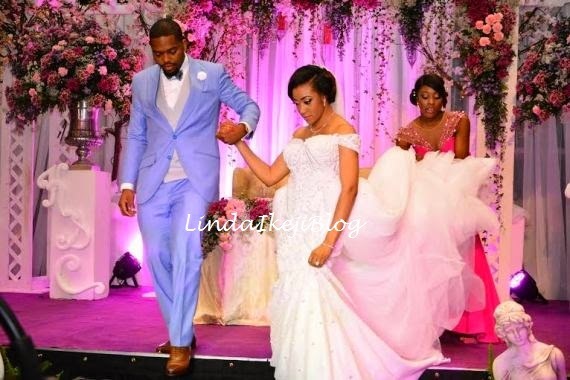 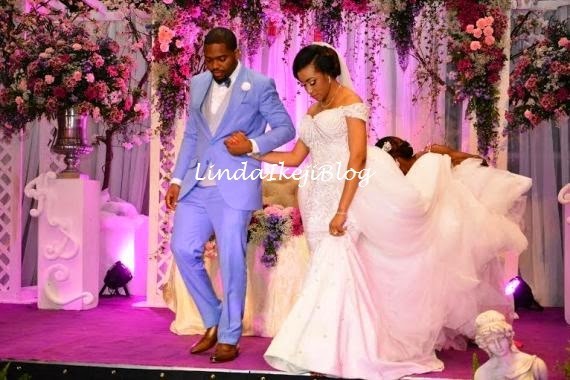 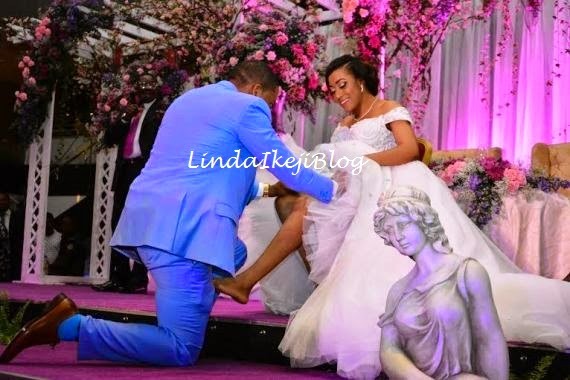 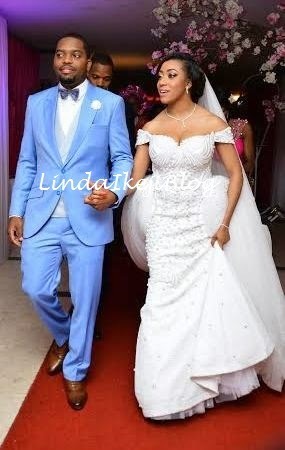 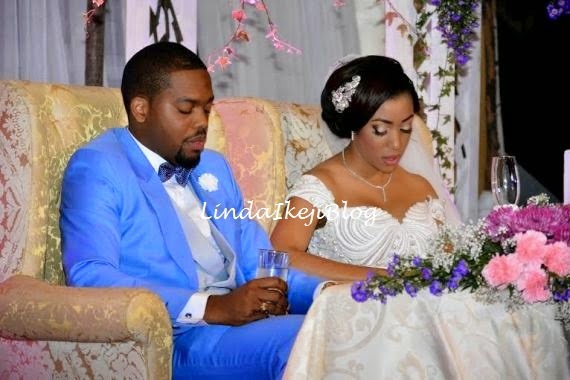 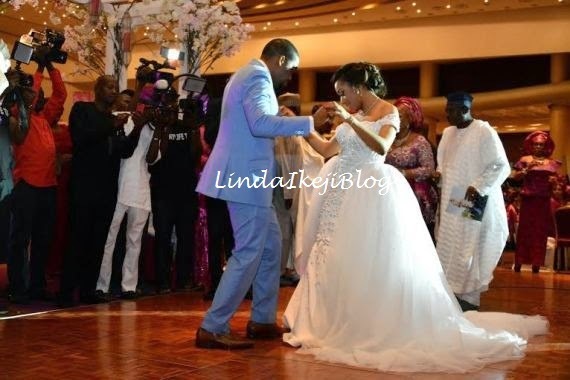 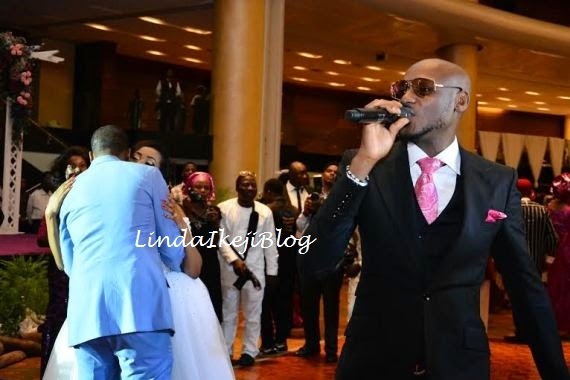 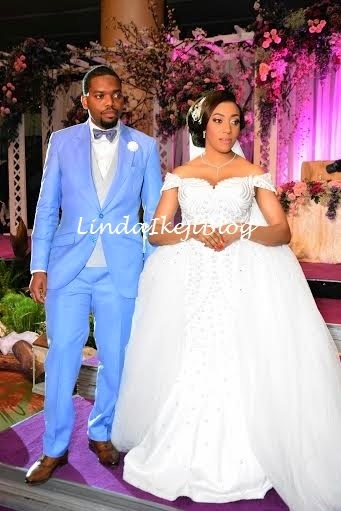 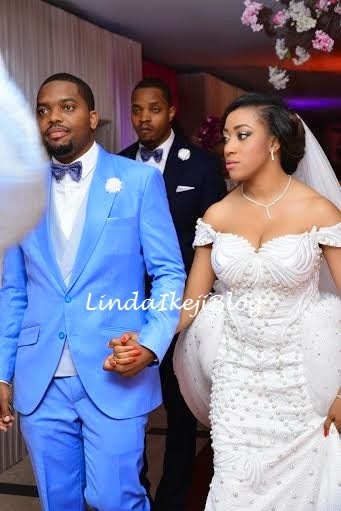 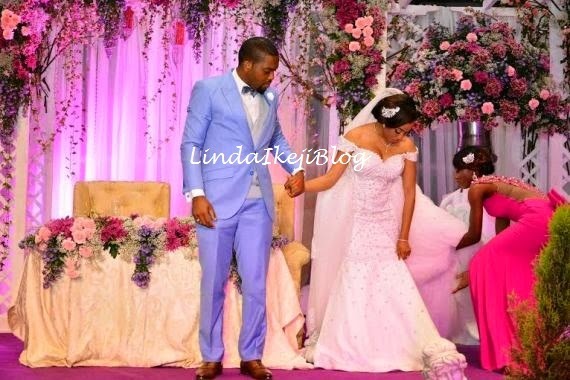 The couple got married yesterday (September 20, 2014) at the Eko Hotel & Suites, Victoria Island, Lagos. 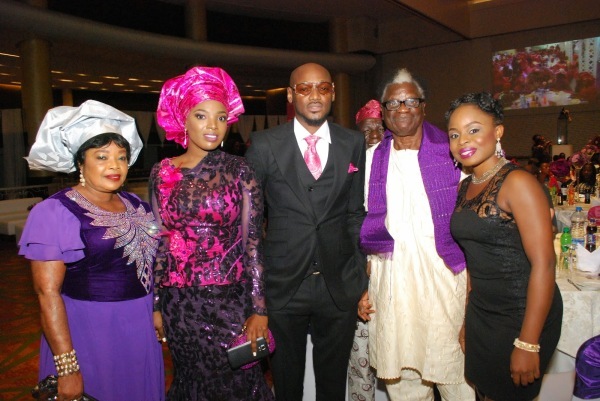 As expected, the event was well attended. 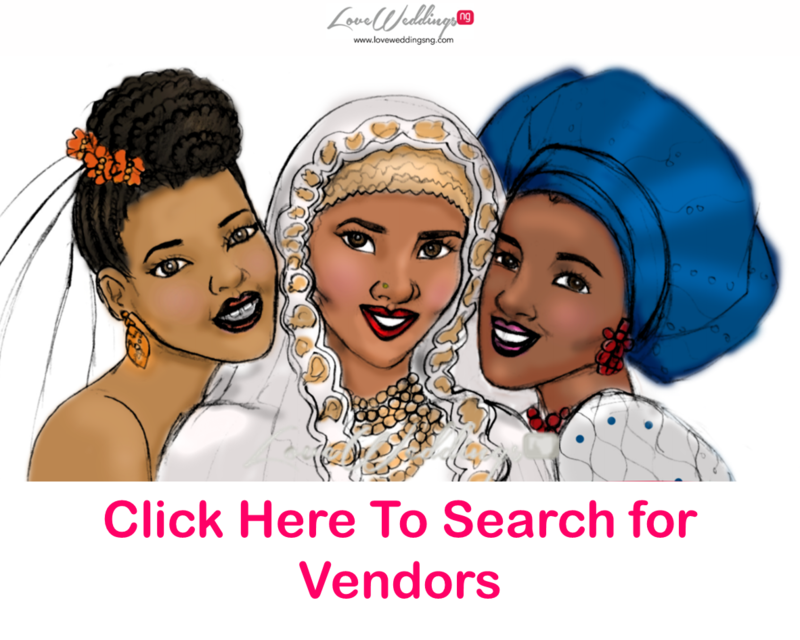 Aliko Dangote, Bola Shagaya, First Lady Patience Jonathan, Chief Mike Oghiadome CFR (former Chief Of Staff to President Goodluck Jonathan), Chief Rasaq & Sade Okoya, Hon. 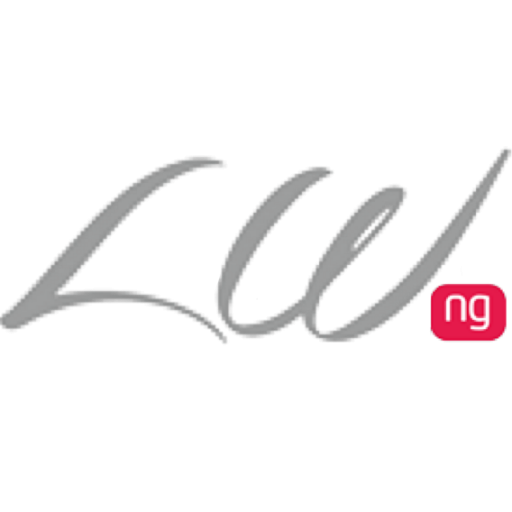 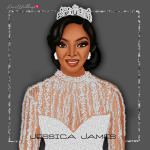  Abike Dabiri, Chief Odogwu, Mrs Helen Prest Ajayi, Rita Dominic, Monalisa Chinda, 2Face & Annie Idibia, Tiwa Savage, Okey Bakaasi, Ini Onuk, Onyeka Onwenu, Funke Akindele, Rukky Sanda, Zizi Cardow, Opral Benson, Folorunsho Alakija, Adesuwa Onyenokwe, Data Okorodudu were all at the event. 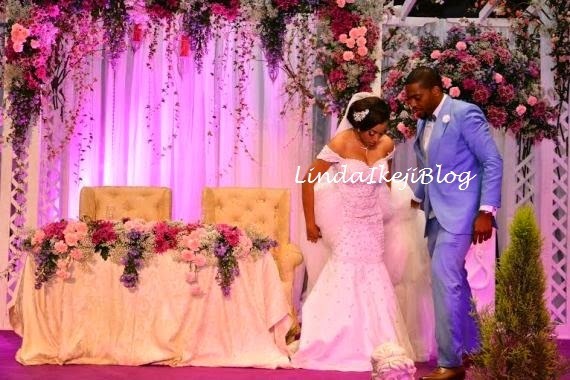 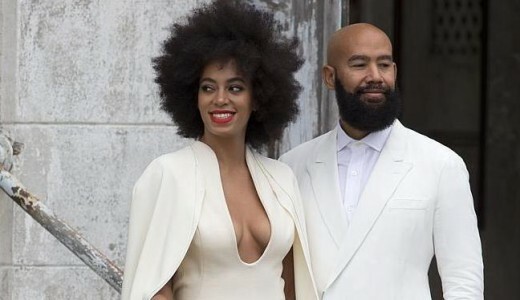 See some of the first pictures from the wedding below.